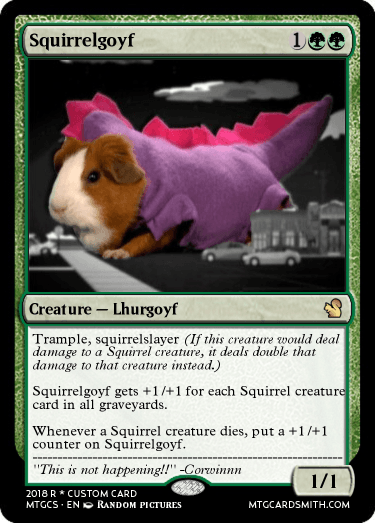 Lhurgoyfs. Creatures that feed on the dead, everyone knows and loves them. (Except perhaps some modern players.) 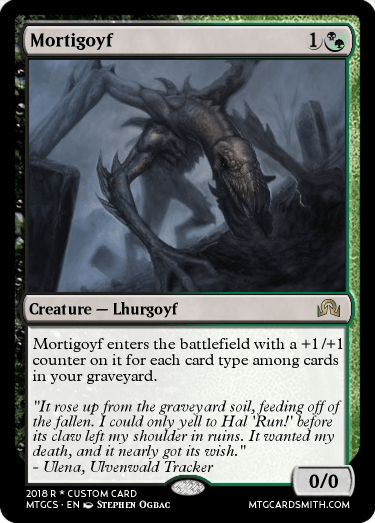 I want to see your Lhurgoyf designs. I don't just expect creatures, though. 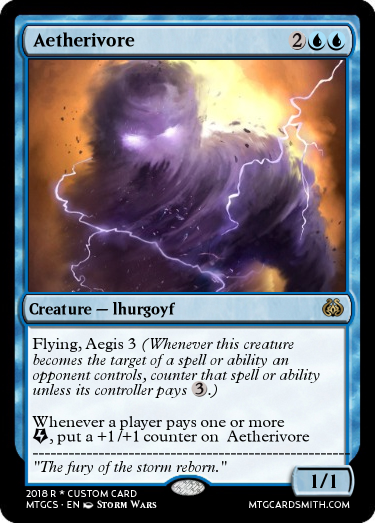 You can also make tribal spells with the subtype Lhurgoyf that would generally support the tribe. 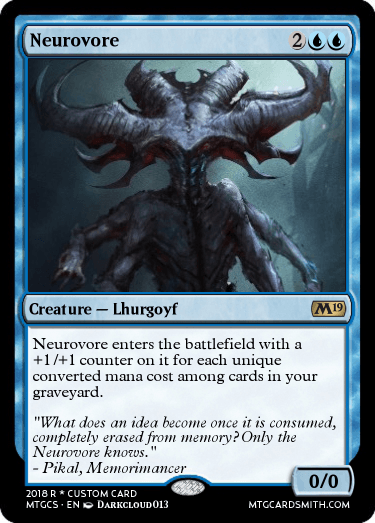 However, I am looking for more creative designs as opposed to creatures that are effectively clones of the classic 'Goyfs. So, how about some ground rules? 1. Two entries per person. 2. If you edit/remake your card, please edit the original post containing it, as to avoid clogging the forum. 3. 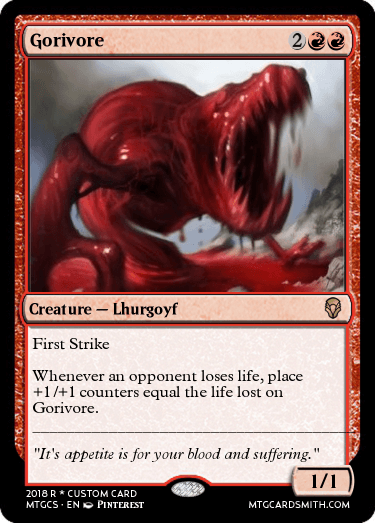 You can submit designs made on mtg.design or whatever, but it MUST be able to be found on MTGCardsmith. If I cannot find it, your entry will be quietly disqualified for I will have no proof that you are actually the person who made it. 4. Cards that don't credit the artist will also be quietly disqualified. 1st place: Four favorites and a choice of honorable mention. 2nd place: Two favorites and a choice of honorable mention. The deadline is the fifteenth of September. This post may be bumped if a long enough period of inactivity occurs. Bump a thumpity lump wump. Here a pseudo-entry due to the lack of good artwork. 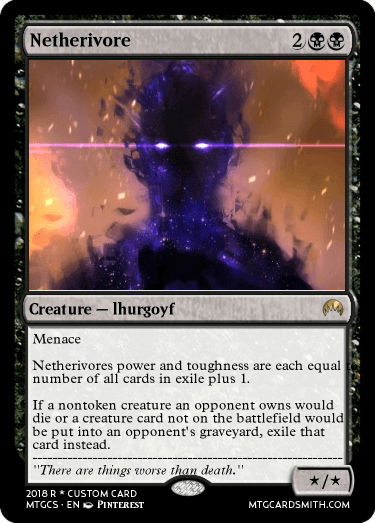 Technovore has the activated abilities of all artifact cards in all graveyards. 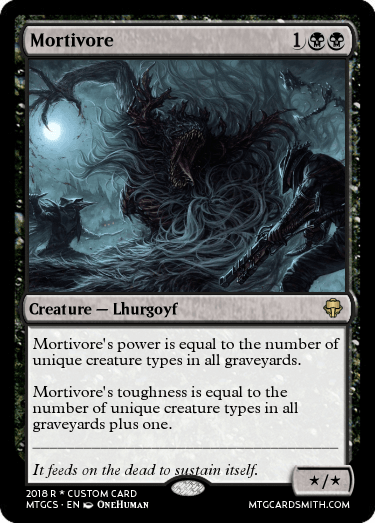 Technovore's power and toughness are each equal to the number of artifact cards in all graveyards. @Lujikul So how's it boss? This was me during history lessons. Pow! Hope you like it. I love the set some of our smiths are making, so here's something for em. (Cough ningyounk) Some artist work gone awry, hoping to add to itself constantly. This contest should been long over, so I am just posting my 5 recent cards since someone else bumped it. Yeah, it’s pretty much a dead thread.